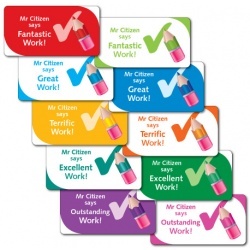 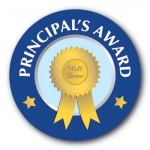 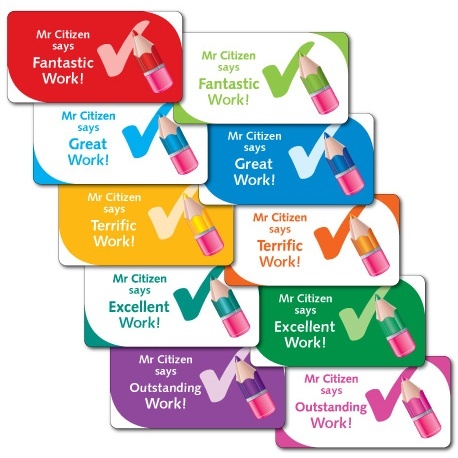 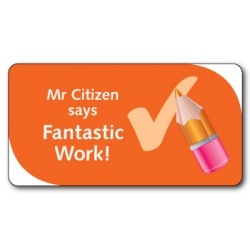 Unique to Awards Plus®, this personalised sticker collection is a great reward for strong work, effort and behaviour. 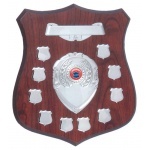 Customised with your name for that personal touch. 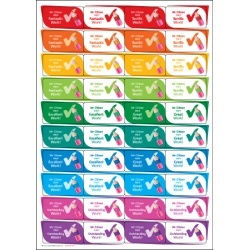 A mixture of 5 titles per sheet (Fantastic Work, Excellent Work, Terrific Work, Great Work, Outstanding Work) in a variety of bright colours that kids will love. 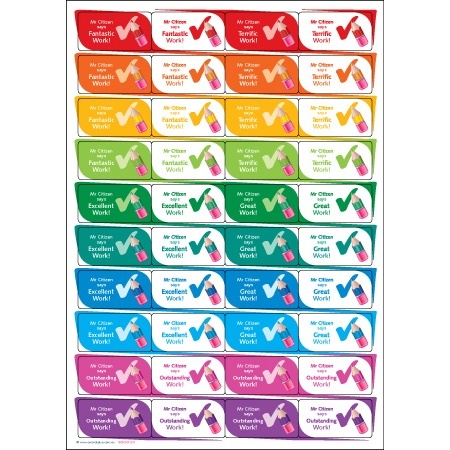 can simply peel and stick them onto a page, shirt or board.